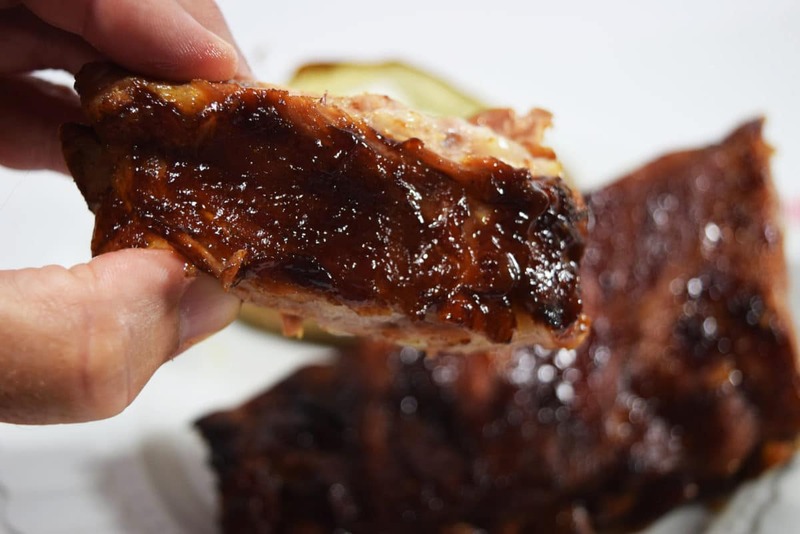 Instant Pot Baby Back Ribs are tender, quick and taste like they have been cooking all day! Pressure Cooked to perfection and caramelized under the broiler for 5 minutes. There you have it, finger lickin’ good ribs! 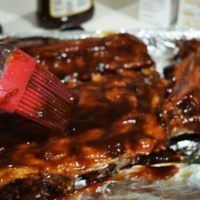 There are days when I just crave some BBQ Baby Backs or my son BEGS for them and who has hours to cook during the week? 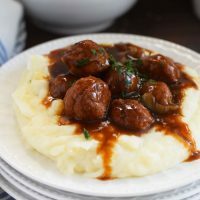 These are the perfect solution to giving the family a special meal on a weeknight. Heck they are so easy my hubby says why not make them like this all the time. I think he is trying to get out of grillin’ ya’ll. Napkins are optional, because these are finger lickin’ good! Pull the membrane off the bottom of the ribs. Do be honest most of the time I skip this. I know the PIT Masters are calling me all kinds of names. But hey I hear today is National Lazy Mom’s Day (Sept 1), so I am taking one for the mom team! Then cut ribs in half or thirds. Mix garlic salt, cayenne pepper, paprika and brown sugar and sprinkle and rub into ribs. 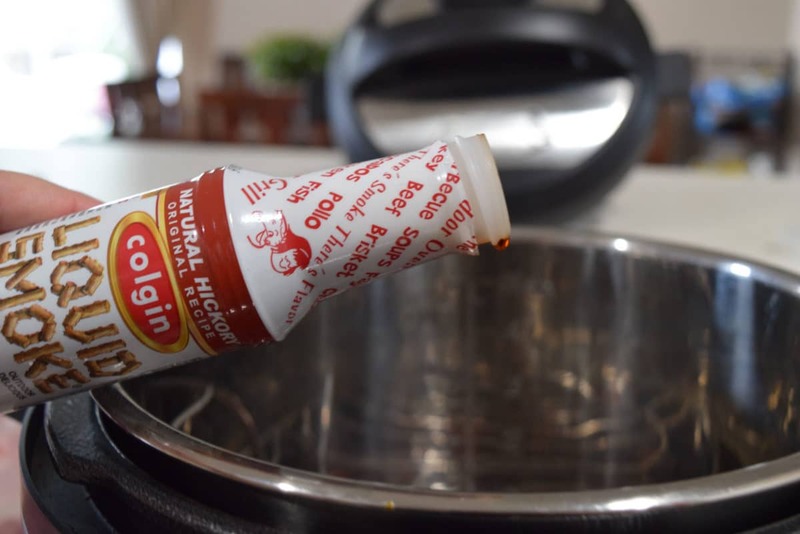 Place rack into instant pot (I used the one that came with it). 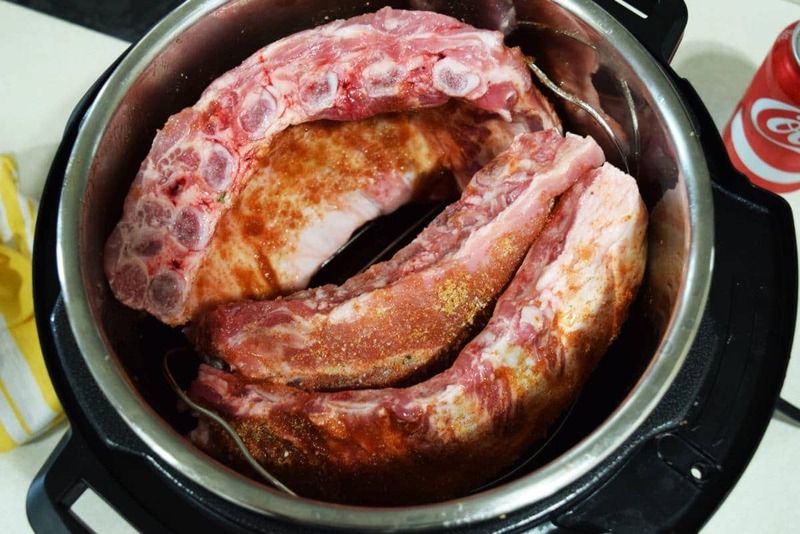 Place ribs into pot standing up. 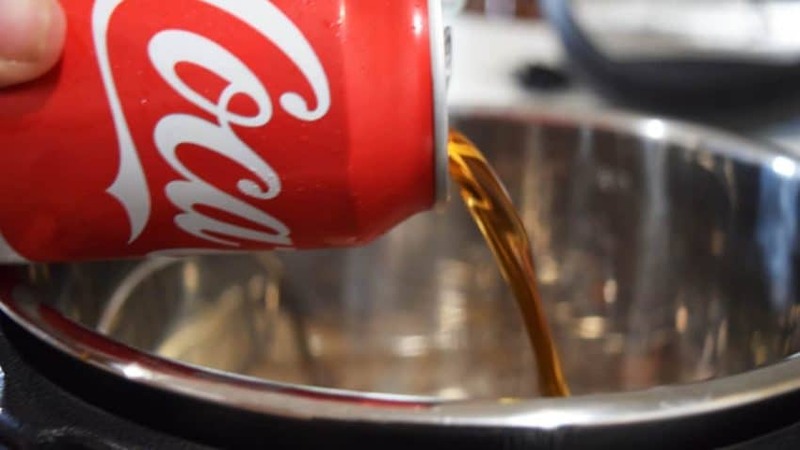 Pour coke, beer or root beer in. These all have a different flavor that are all so good. I like to change it up or use what I have on hand! Now add liquid smoke into bottom of instant pot. Set instant pot to manual, high pressure for 30 minutes. When done let natural release for 15 minutes. Open valve and let remaining pressure release. Set oven to broil. 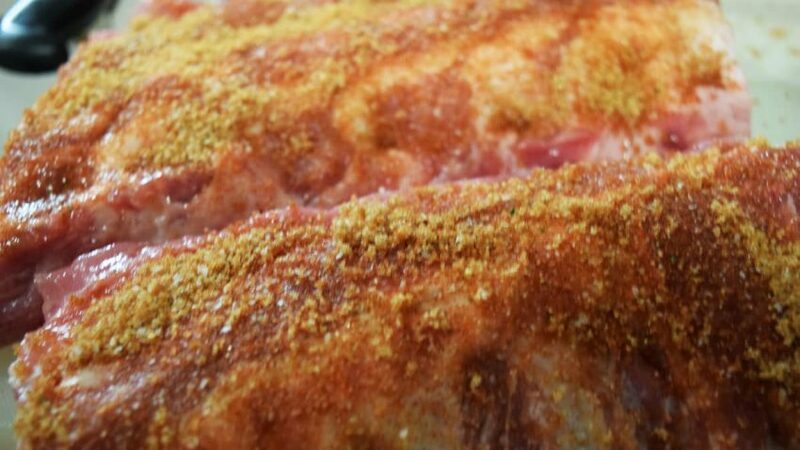 Place ribs on a baking sheet. 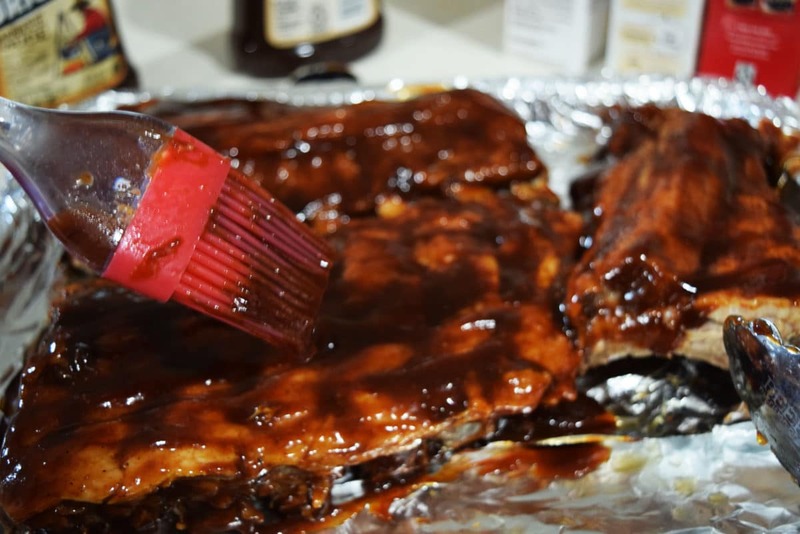 Brush desired amount of BBQ Sauce on ribs. Just use what you love. My favorite bottled is KC Masterpiece. It has a little kick and a little sweetness. 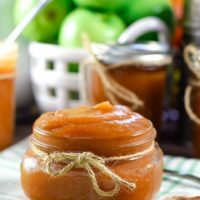 I also use the one from my Honey Chipotle BBQ Wings sometimes. Put baking sheet in oven and broil for about 5 minutes until sauce in cooked in and caramelized. Keep eye out on them as ovens vary. Here is where the finger lickin’ comes in!! Drew got to model for me and he was glad to volunteer!! When you can have ribs this good in under an hour all is golden in the world! Do ya agree?? Come on over and join in with us on Social Media! Don’t miss out on all the crazy fun we have! Pull the membrane off the bottom of the ribs. Then cut ribs in half or thirds. Mix garlic salt, cayenne pepper, paprika and brown sugar and sprinkle and rub into ribs. 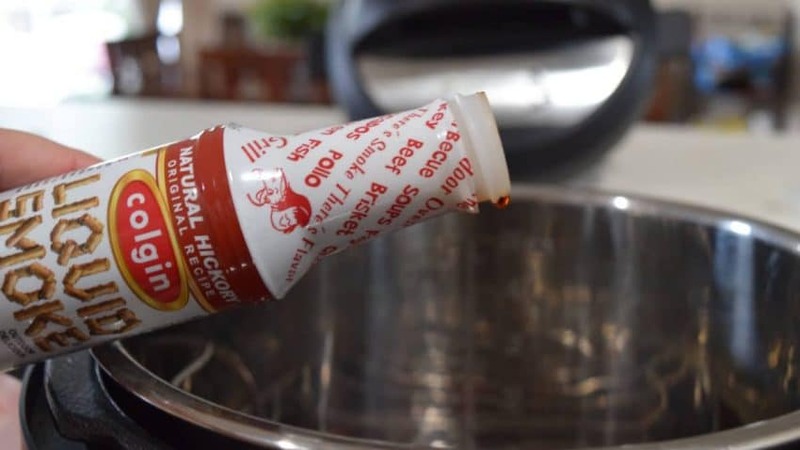 Place rack into Instant Pot (6 Quart). 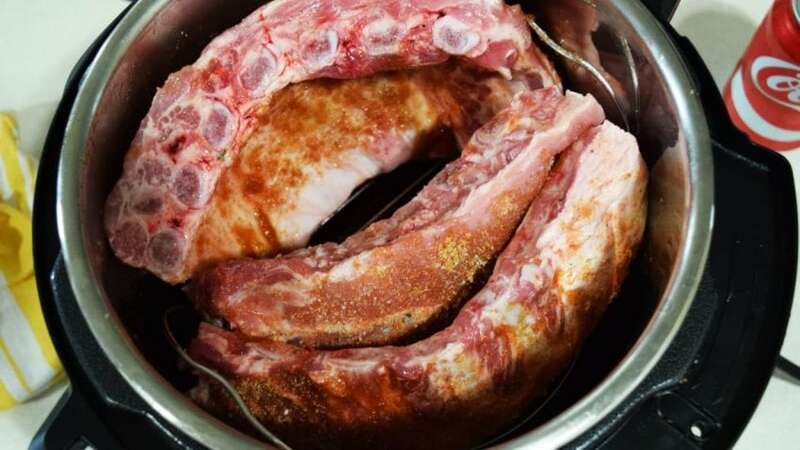 Place ribs into pot standing up. 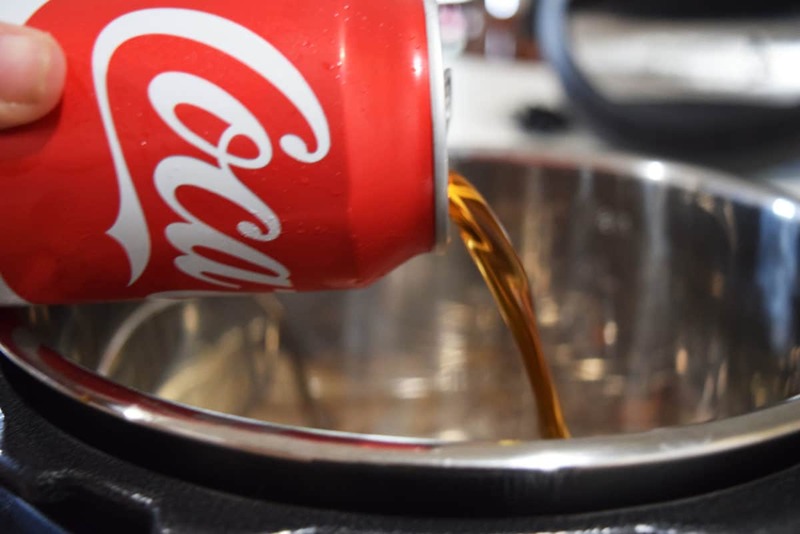 Pour beer and liquid smoke into bottom of instant pot. 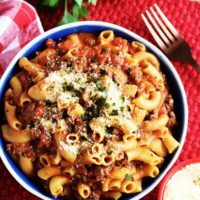 Set instant pot to manual, high pressure for 30 minutes. When done let natural release for 15 minutes. Open valve and let remaining pressure release. Set oven to broil. 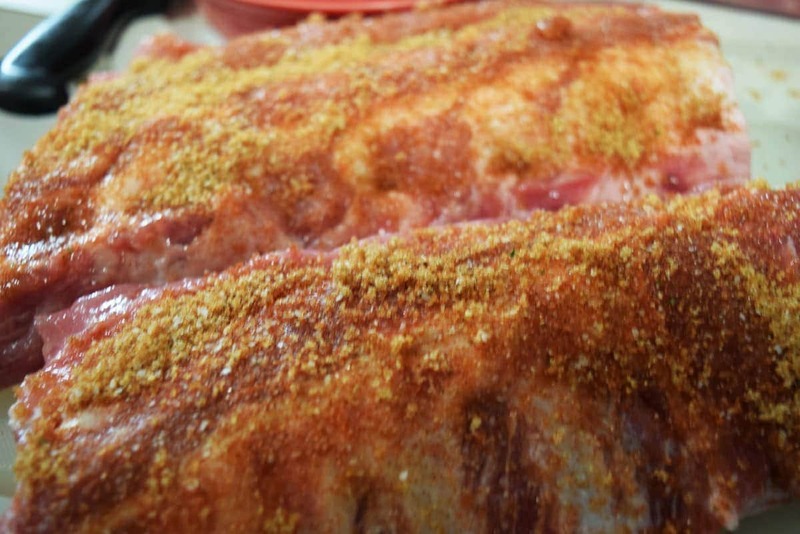 Place ribs on a baking sheet. 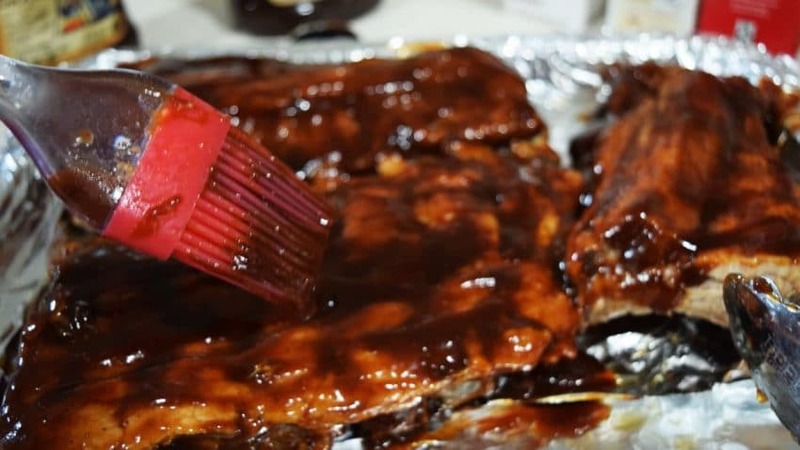 Brush desired amount of BBQ Sauce on ribs. Put baking sheet in oven and broil for about 5 minutes until sauce in cooked in and caramelized. Keep eye on them as ovens vary. 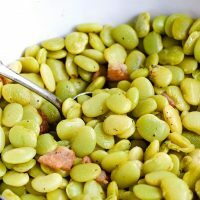 Head over and find this and more fabulous food on Meal Plan Monday and Weekend Pot Luck! I have got to get me one.! I’m going to end up breaking down and buying an Instant Pot. lol With my kitchen under construction Grumpy will likely chew me out, but dang, I am seeing so many possibilities with this and we LOVE ribs!! Once you cook for Grumpy in it he will not chew ya out lol!! 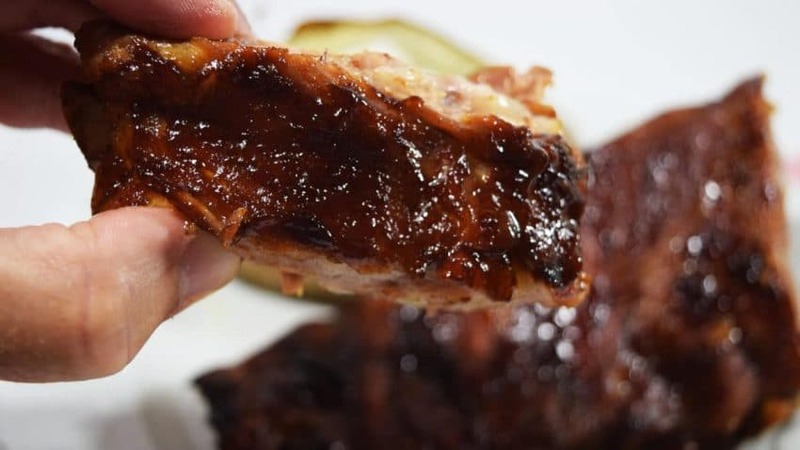 Love how easy and quick you can get delicious ribs in this! Thank you so much Jocelyn! I love being able to get so much flavor in so little time! Now, I have to mention how excited I am for you! Congratulations on your Baby Cakes! I cannot wait to see that bundle of joy!